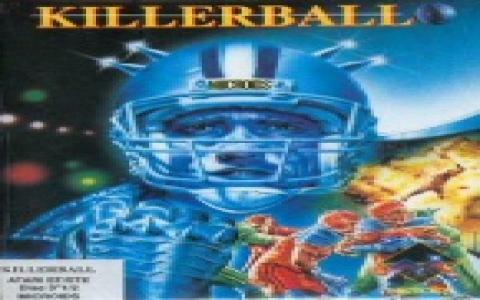 Killerball is a game with a very similar premise to Speedball but it does have a few differences to be worth the different name! For once, the playing field, which is the game mentioned above was more of a square, has shed some of its edges to turn into a circle. 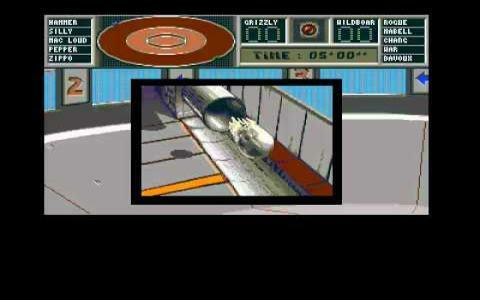 The mash of violent ball gaming with an additional of futuristic violence that will, however, remind of hockey. So, the teams here are quite small, but so is the field. In order to take the ball away from an adversary, you have to literally stop him to the ground. Yes, for 91 it sure was a bloody game, and I think that even today it may lead to a few nauseated people, if they are not totally in love with pixelated violence. Also, the game is quite difficult, scoring is quite rare, and that is because, as I said, the opponents will not stop to linger if they should charge and attack you; no, they will do it as long as they are in your range. Graphically, except for the violence which is expressed with nice animations, the game is a little on the bland side, and, also, it is a little on the buggy side. Thus, if it ends up crashing your DosBox, you should know why! So, overall, I'd say download Speedball 2 rather, and only have this one as a backup, but remember it's quite a troubled game, with issues and not a that great a production value.